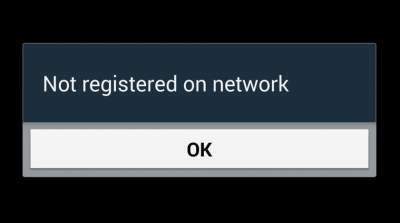 How to fix not registered on network error in android phones | Samsung devices. 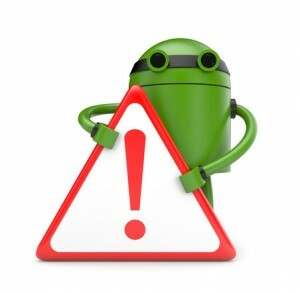 Fix not registered on network error in android phones: Android operating system is used by many all over the world. Different carrier providers are present to make your phone a smartphone with mobile data or wi-fi connection. Still due to some bugs or problems people face difficulties during calling or messaging. One such error is not registered on network. This error is most common in Samsung Galaxy S3, S4, S5 and Note devices. But I have given common solution to fix not registered on network error for android phones. Many times I also face this error in my Samsung galaxy S4. Whenever I try to call someone an error flashes saying not registerd on network and call ends automatically. This error is caused due to number of causes. Like signal problem in that area, carrier networks interference or improper placement of SIM card. So just take a look at some fixes of not registered on network error for android specially Samsung devices. How to fix not registered on network for android phones and tablets. In this method you just need to check out networks available for your device and select your operator service. Settings >> mobile networks >> network operators. Tap on network operators and your device will search network available for you. Just click on your carrier service. Once you select your operator your device will reconnect. Hopefully this method will help you to fix not registered on network error in your samsung smartphones. If method 1 hasn’t worked for you then here is another amazing method. This method is a two step process. You just need to take out your SIM card and again reinsert into SIM tray. Once you take out your SIM card and reinsert it your device will automatically reconnect to your network operator. This method is best use to remove not registered on network in Samsung Galaxy s3, s4, s5, note 2 and note 3. Method 3 to fix not registered on network error. You need to change the connectivity in your device. Go to settings >> more networks >> mobile networks >> network mode. In network mode choose WCDMA. Once you have selected WCDMA restart your device. This method has also worked for many. If all the above given methods filed to fix can’t registered on network then take you Samsung or other smartphone to nearest service centre. If you still feel any doubt just ask in the comment box below. Previous articleBest Google play store alternatives to install android apps in smartphones. Rishabh Pant is a passionate writer and blogger. He is pursuing engineering in electronics and communication from GGSIPU University. In his free time, he loves to watch movies and play PC games.